Jonathan Rose has his eyes on 2050 — and the outlook is not ideal. Actually, with the global population closing in on 10 billion, a looming resource crisis, rising seas and widespread drought, one might call the projections downright dystopian. Yet, when Rose speaks of the future, his words are a far cry from a doomsday sermon. There’s something soothing to the way he addresses, objectively, the need to curb consumer waste and optimize power grids. He provides no overtures of optimism, but his clear-eyed assessments of society’s ails carry some hope. 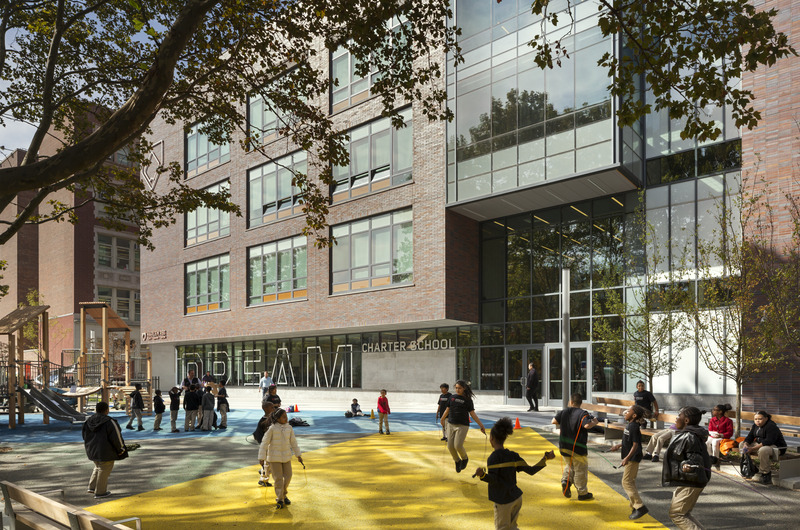 The East Harlem Center for Living & Learning at Washington Houses is a multifamily mixed-use building with 89 affordable apartments, the K-8 DREAM Charter School and non-profit office space for Harlem RBI. Rose sees the questions being posed by the 21st century, but he doesn’t pretend to have all the answers. He can’t save the world, but he believes cities can — if they’re properly planned. Growing up watching his father, Fredrick Rose, a second-generation developer and long-time chairman of Rose Associates, Jonathan Rose developed an interest in real estate at a young age. He was drawn to the complexities of big cities. The energy of 1960s New York was exhilarating, yet its social issues troubled him deeply. Also, for all his admiration of the man-made world, his Westchester County upbringing helped foster a love of nature. 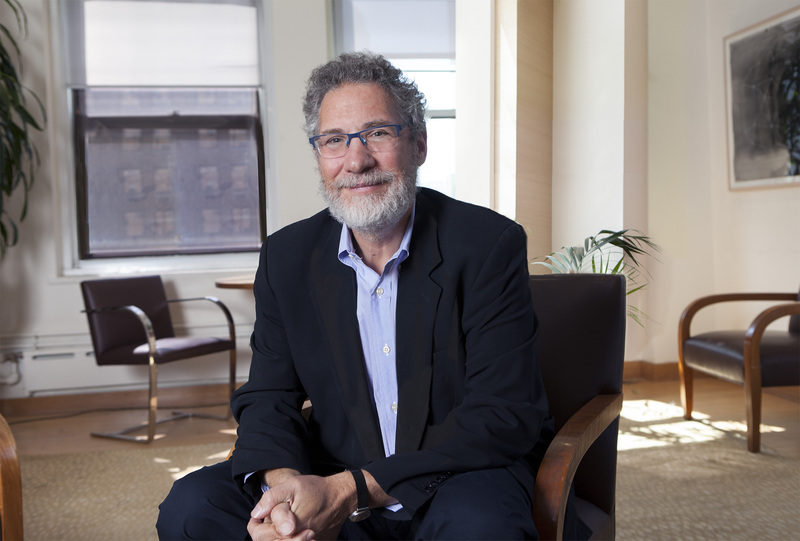 In 1989, after earning bachelor’s degrees in psychology and philosophy from Yale, a master’s in urban planning from the University of Pennsylvania and spending several years at his family business, Rose resolved to pursue his varied interests through a single venture: the Jonathan Rose Companies, a firm dedicated to building environmentally friendly, affordable housing. “We’re a mission-based company,” Rose said. “I love developing and I love building, but I wanted to do something that helped people and improved lives; I really do believe that business can be used as a tool to make the world a better place. Brick, mortar, glass and steel are his chosen tools, but Rose’s disciplines extend beyond construction. He is a student of sociology, dropping casual references to ancient temple sites and the Code of Hammurabi during a builders conference keynote, contextualizing them within the greater arch of human settlement. He tries to frame today’s cities through the long lens of history. Though it may seem basic, almost counter-intuitive, Rose sees the city as the ideal solution to overpopulation. Rose’s various properties, which span the country, serve as proving grounds for his beliefs in the self-sustaining community. Access to mass transit, open space and energy efficient designs are hallmarks of his developments. 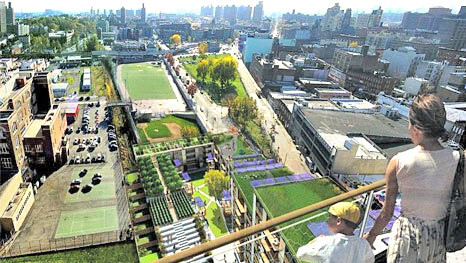 Via Verde/The Green Way in the Bronx is a trendsetting example of affordable green development. Perhaps the best example of his work in New York is Via Verde, or The Green Way, a property co-developed with Phipps Houses in the Melrose section of the Bronx. A stepped gray building adorned by colorful accent patches and solar panels, the site includes 151 affordable rental units as well as 71 co-ops, a 40,000 s/f green roof, various outdoor spaces and wellness-based retail sites on the ground floor, all within walking distance of the subway, Metro-North train and multiple grocery stores. The next piece of holistic development, Rose said, will be health. Rose will experiment with this model at the Edgewood Court Apartments in Atlanta, a subsidized housing complex his company recently acquired in partnership with Georgia-based Columbia Residential. The Pierrepont apartment building in Brooklyn. The site is the first in the country to qualify for funding through the Fannie Mae Healthy Housing Rewards initiative, a financing program for housing developments that encourage healthy lifestyles and connect residents with health care services. He hopes to use that program again with Sendero Verde (pictured top) a massive, 655-unit development his company has proposed with L+M Development and The Acacia Network for East Harlem. Encompassing an entire city block, the building would include health and wellness services on-site while also achieving Passive House standards, optimizing the health of the internal environment while remaining energy efficient. 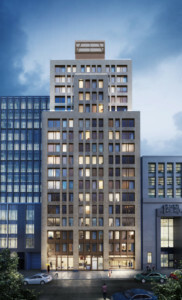 In the near-term, the firm has a pair of smaller-scale developments opening in Brooklyn. 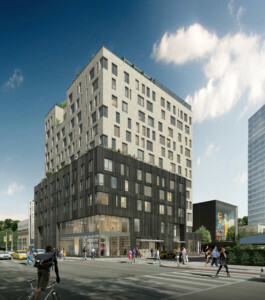 Caesura, a 123-unit rental building in Downtown Brooklyn that is 40 percent affordable, was completed in 2017. 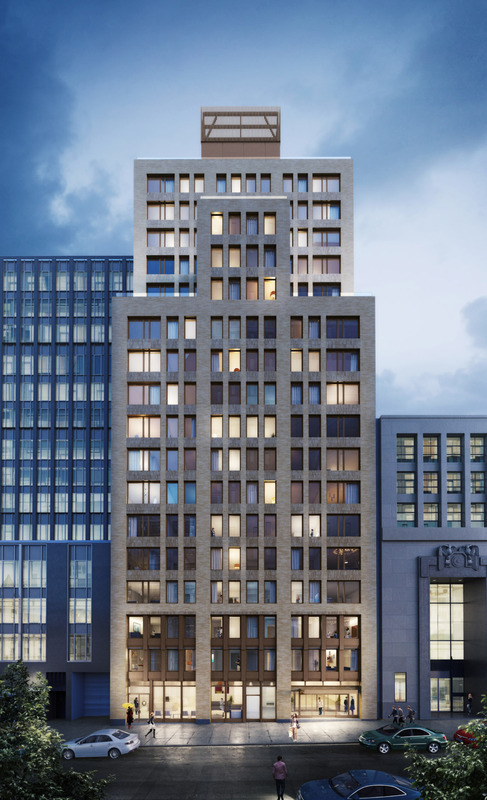 Meanwhile, The Pierrepont, an 86-unit luxury mixed-income development, is expected to wrap up this year. Although Rose believes affordable housing can address many needs, he said cities need to do more to prepare for the future, emphasizing mass transit, green space and social justice. Though New York is better positioned than most U.S. cities, he said it still has issues that could hamper its global economic viability. It needs single-seat connections to its major airports, he said, and high-speed rails, ideally ones that connect the city to upstate university centers as well as other large cities in the Northeast. It also needs better systems for handling natural disasters. The Caesura apartment building in Brooklyn. It’s a tall order, especially at a time when the federal government is contracting and moving toward isolationism, but Rose believes those hurdles, too, can be overcome with enough vision and political will. Sometimes, he said, it’s a matter of developing a model that works for others to follow. While his company has set the bar for affordable development, in some ways, Rose is reluctant to take credit. Unlike other real estate disciplines, he explains, the affordable housing sector is a collaborative space, with firms that frequently partner with one another and root each other on from the sidelines. “I’m very grateful that the work we’re doing is being recognized, but what I want to underscore is that there’s a large network of excellent affordable housing companies that are all doing great work throughout this city and throughout the country,” he said.